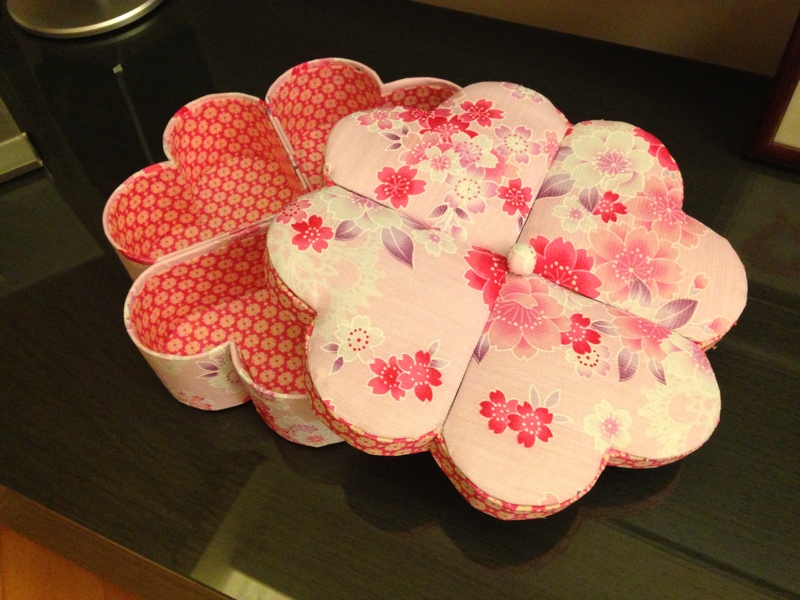 Chinese Treasure Box is one of many Chinese New Year custom we see around Chinese New Year. A tradition Treasure box usually is an octagonal shaped container placed with traditional snacks for children and visitors, with an offering of nuts and preserved fruits that symbolizes fertility and a life of bliss for the coming year. 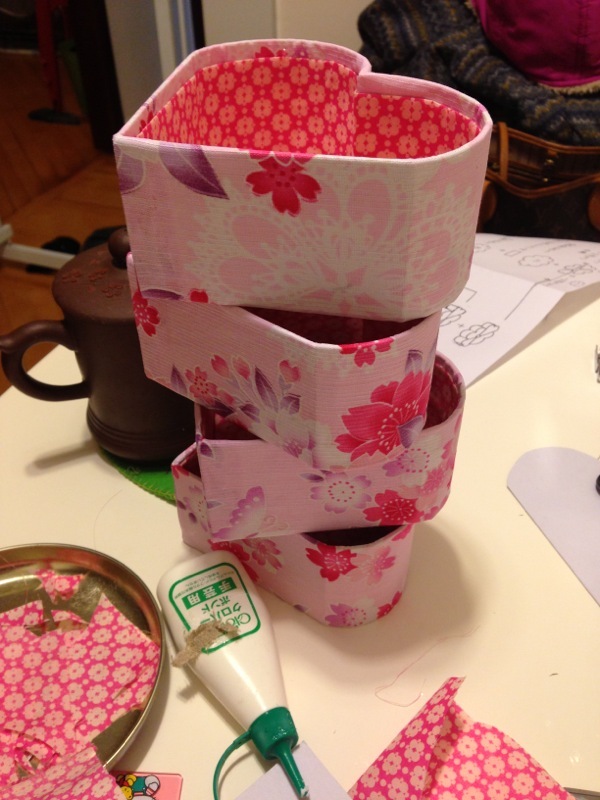 Lets start making a Chinese Treasure Box ourselves by using our favorite fabric. 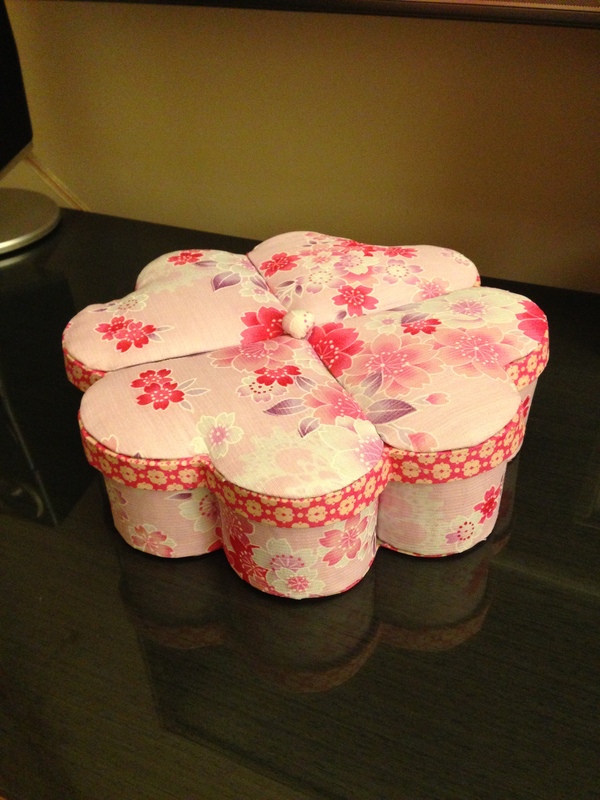 This Treasure Box consists of four containers and a lid cover. 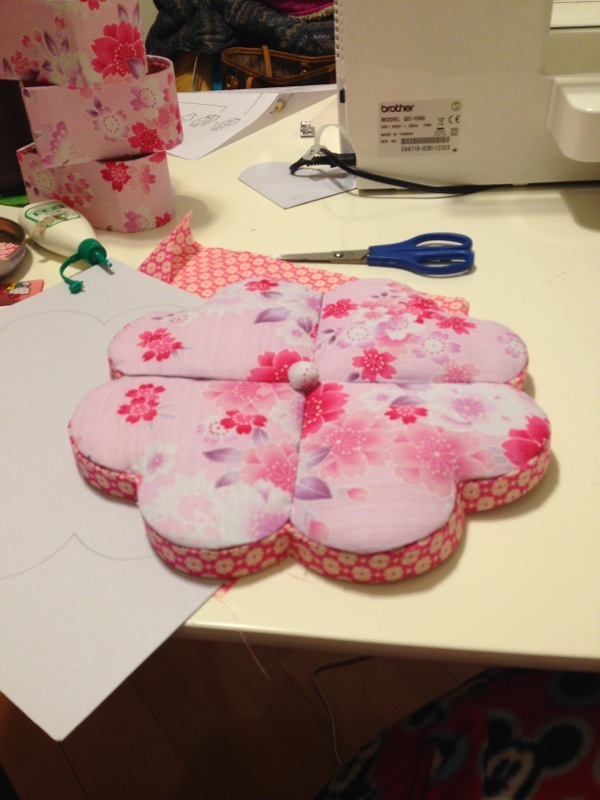 You will need to draw a flower shape cardboard (with eight petals, like in the photo below), so when you slice them into quarters, it will come out with four heart shapes. Start assembling the card board by using masking tap. 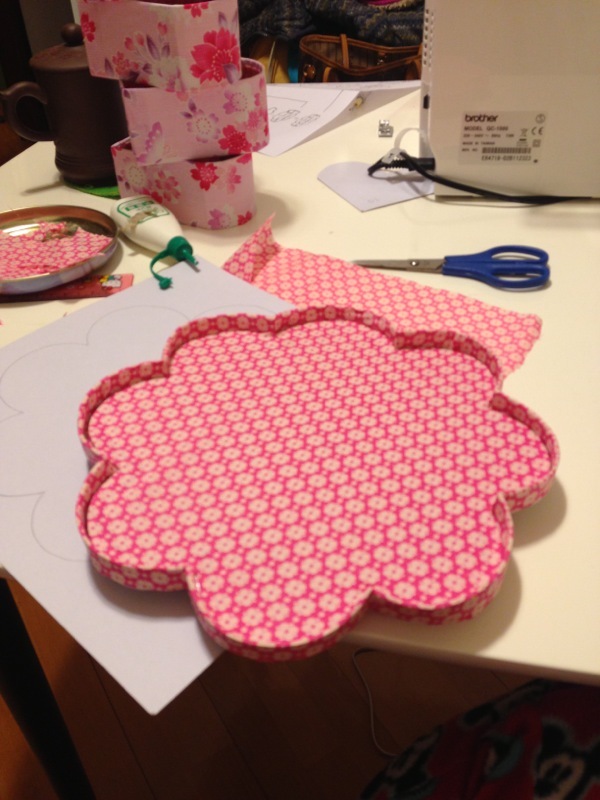 Next, glue the fabric onto the cardboard. Let it sit and dry.